Summer Camps are often fun, but it’s necessary to register those who would like to attend the event before the big day. This way, you will be able to plan well and avoid any inconveniences that would otherwise arise. Church events can be quite overwhelming, particularly because there are often quite a lot of activities during the event. Therefore, it is highly likely that many people will attend. 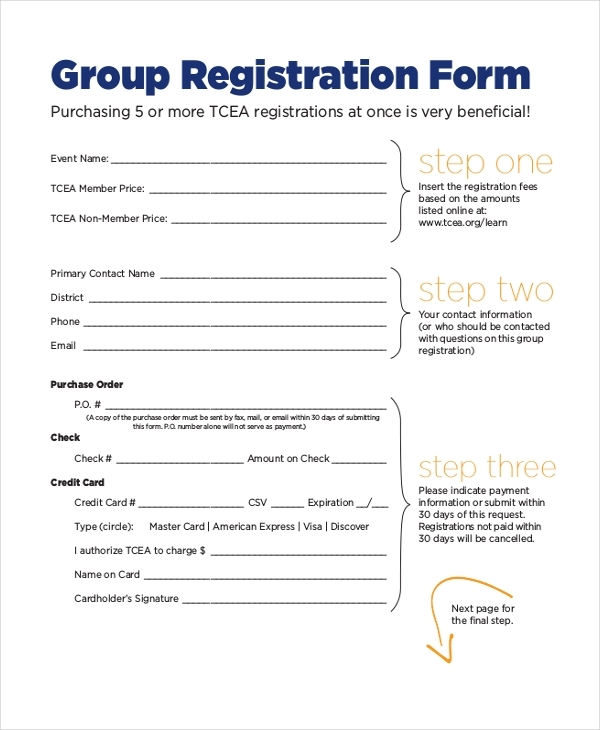 Use this form to register every person wishing to attend the event. 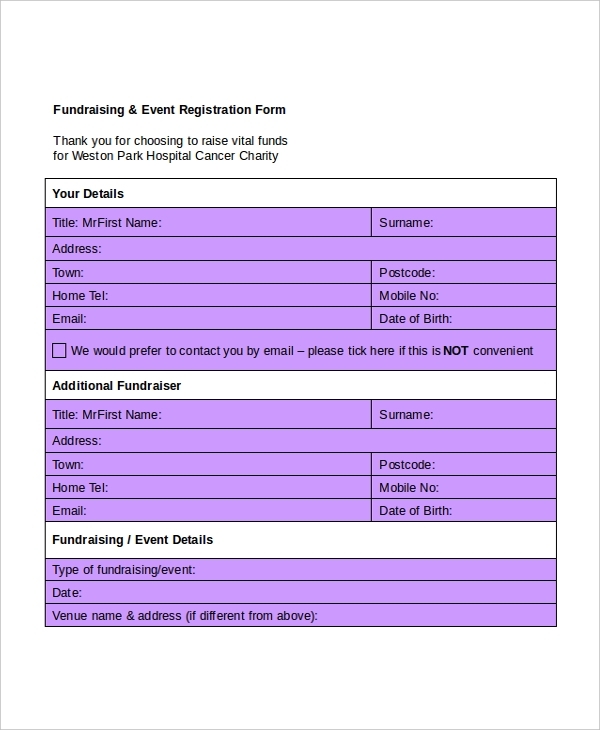 You can use this form to register members who would like to come to your charity event. The best thing about the template is that it is free to use, and, of course, very easy to edit. 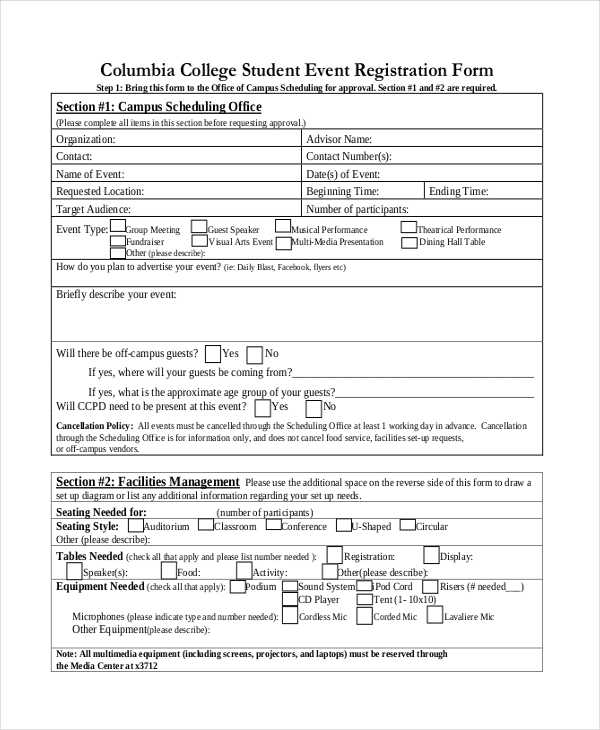 You can create a college event and invite students who might be interested in the event to register with you. 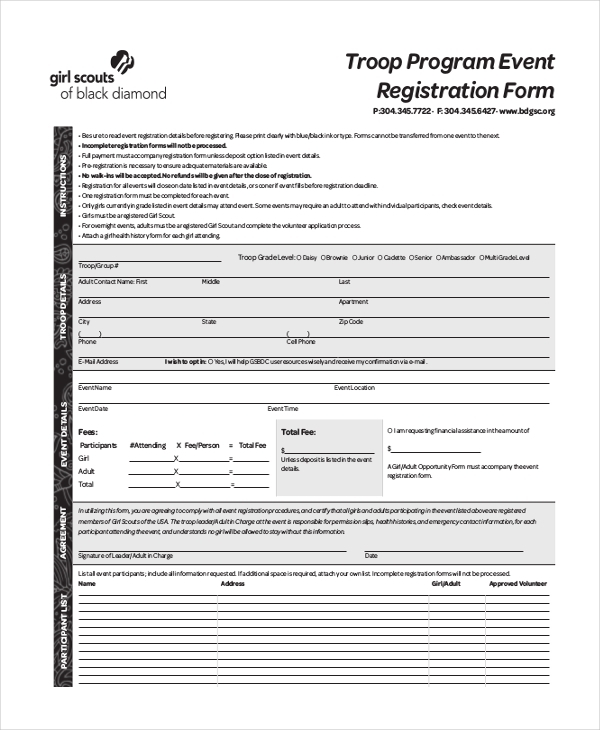 The printable form is a framework that makes the registration process easy. 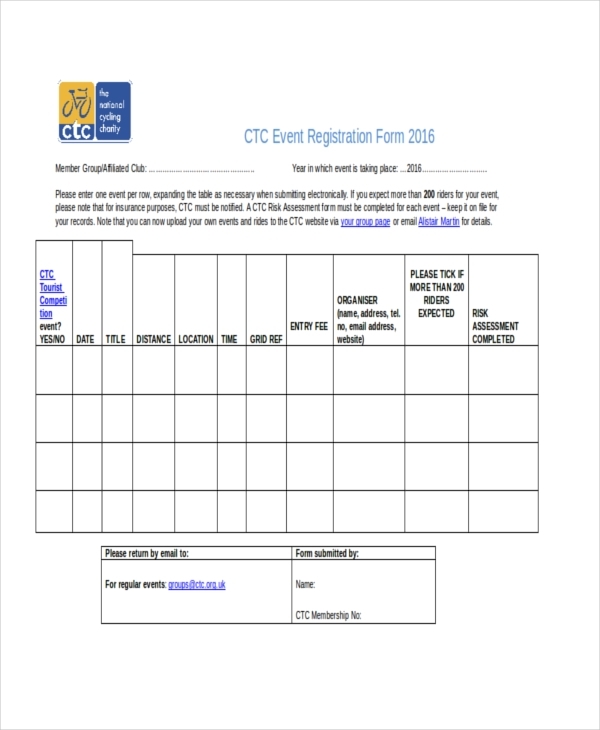 If you would like to hold a cycling event for people in your town, you should fill this form, make copies of it, and then give a copy to each person who would like to attend the event. 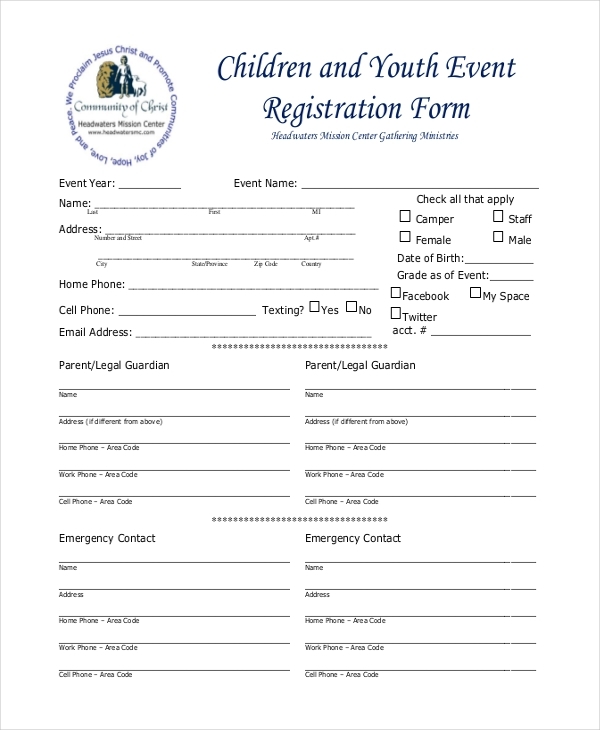 Are you hosting a children’s event in your public facility? Parents would definitely love to bring their toddlers to have fun together. 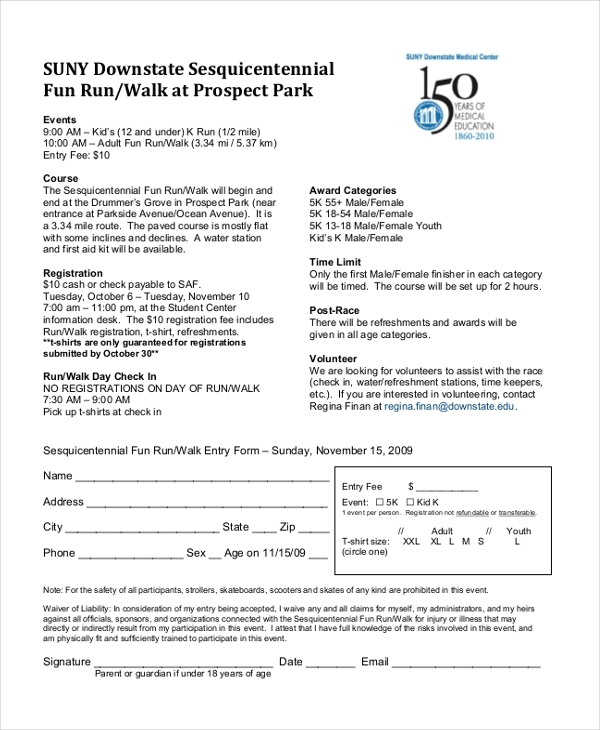 You can download this form, customize it, and then use it to register a child for the event. Training for Girl Scout training is important for your school. Whether the event will be hosted in your school or somewhere far away, it is important to register every student in the scout’s team for the event. An event is any activity that involves the participation of two or more people. Events can fail or succeed, depending on whether there was a plan for the event, in the first place. 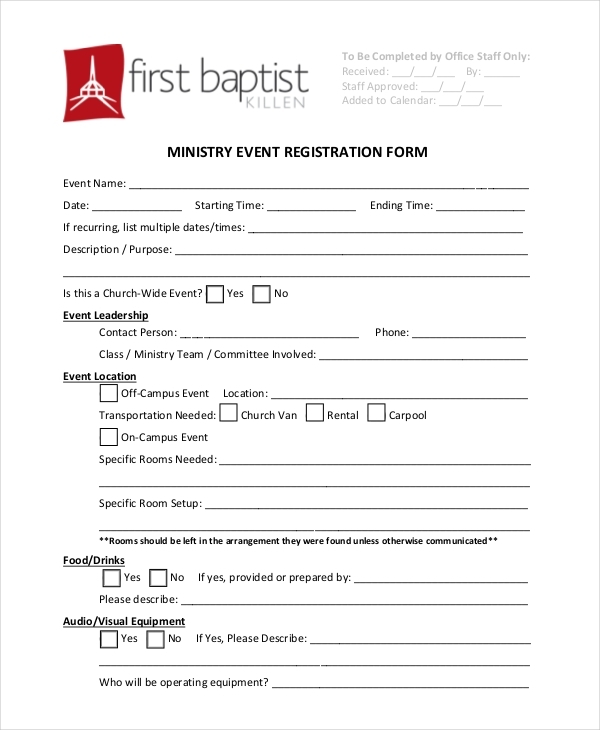 Use this form for event registration, the first phase of planning. 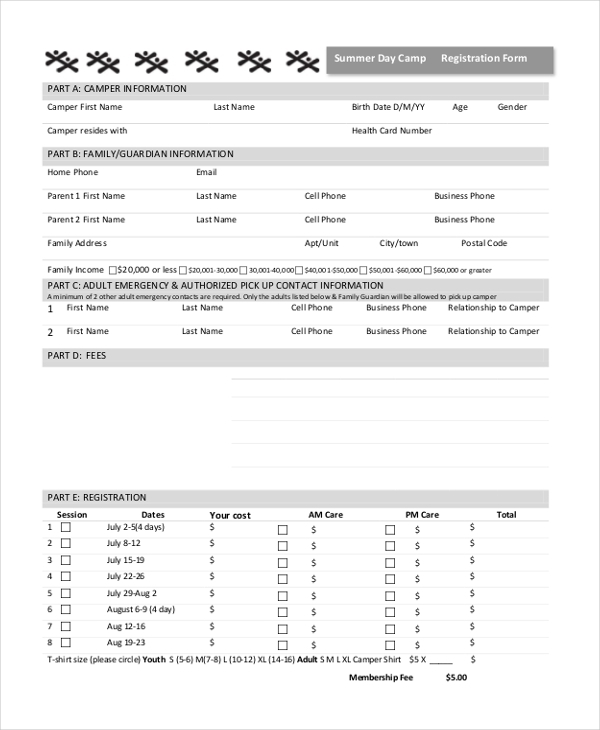 The only best way to make the event go down smoothly is to have a unique events plan, one of the plans being events registration. 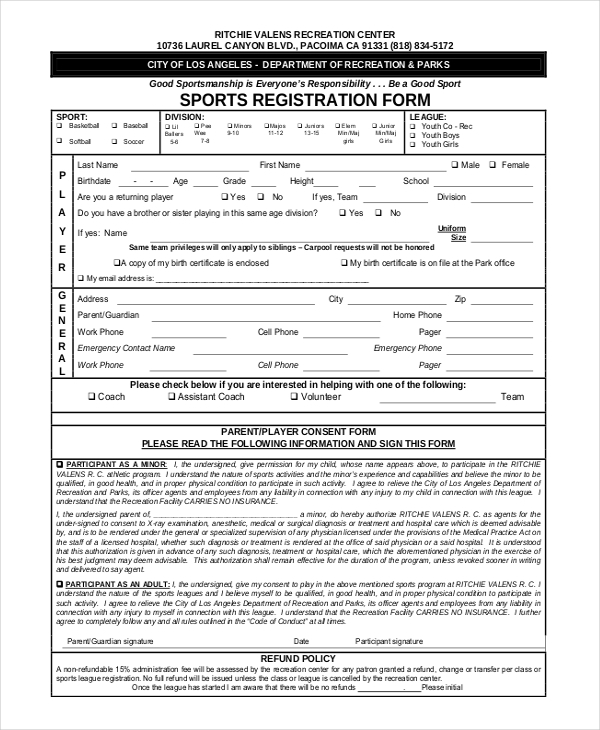 Use this form for the registration. Sports event registration is all about getting and sorting data. In this context, collecting data means recording registration information of members who would like to attend the event before it starts. 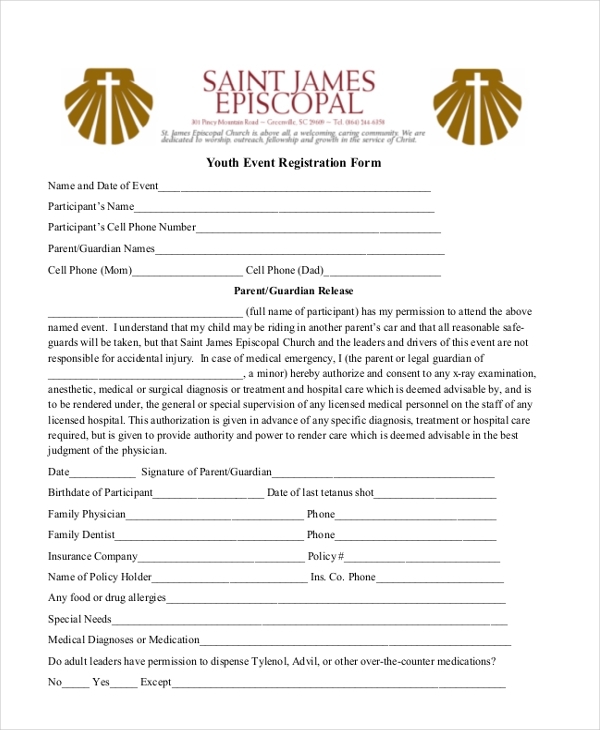 Youth event registration form can help you collect and soft registration data for the event. It is all about counting and recording the total number of people who have registered for the event. Unless you intend to host an event where “all are welcome”, you should use an event registration form as part of the event organization tool. It is important to remember that events planned are better than events called. The difference between the two is that the attendance of the latter often exceeds the expected number, which, of course, would have negative results during event assessment.